Recently a jury rendered a verdict of not guilty in the case of a police officer in La Matanza County, Province of Buenos Aires, who was accused of murder because the prosecution was not able to prove beyond a reasonable doubt that the defendant was the shooter. The presiding judge, Matías Deane, engaged in a long and fruitful conversation with jurors after the verdict. 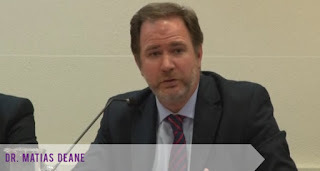 Here we present an interview with Judge Deane conducted by Mr. Pablo Ober for the AAJJ. civic duty and that they feel the responsibility of judging another person. they are in the place of being judges? wouldn't convict anyone. What has happened is quite the opposite and the reality is refuting these predictions trial after trial. 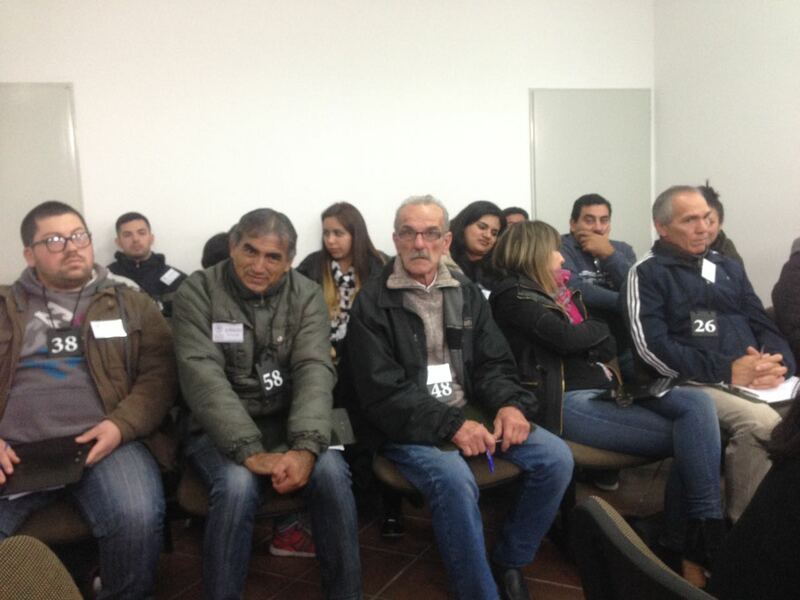 What trial by jury in Buenos Aires and Argentina is showing us, is that the people take jury duty much more seriously than what one would have imagined in the beginning. Those initial fears have proven totally unfounded. Judge: Yes, indeed. I usually talk to them after the trial. I ask them how they saw the trial, if they understood my instructions on the law and the evidence and how they lived their experience of being judges. I do it mostly for the purpose of self-monitoring; to know if I'm being clear and if I´m being understood. Of course, we don't talk at all about the content of their deliberations, since the rule of secrecy governs over the deliberations. However, by the questions they ask me and by the exchange in the dialogue, the central axis of their discussions emerges with great clarity. In more than one occasion, I found myself shockingly surprised by the original approach they had taken to find either proven or not proven certain controversial issues of fact. They were lines of thought that I would never have come up with and after, when I reflected on it, I found how subtle and clever they had been. As a judge, I must say that I feel a special affection and admiration for the deliberations of juries. They surprise us day after day, and trial after trial. Journalist: What did the jurors tell you about this trial? Judge: What struck me the most about this case was the commentary of a young woman, less than thirty years old. She told me: “We lacked of information”. I was very shocked by these words. I asked her to elaborate and she answered: “There were things that the prosecutor suggested, but he never ended up showing them to us. And that, for all of the jurors, was necessary to understand how things really happened”. I felt very gratified because my impression was exactly the same. The jury demands information of a much higher quality than we are used to. Besides, this woman's comment ratifies the main virtue of the jury system: they are one hundred percent dependent on the parties’ litigation in a fair public hearing. I mean, on the evidence that the parties produce in front of them and of how they present it to the jury. In the end, that´s all that matters. Jurors will deliver their verdict solely on the “information” that the parties provide them during the trial and from no other place. I mean, not from the written file or other sources apart from the trial. Journalist: Did you agree with this jury’s verdict? Judge: Yes, of course. It was a fair, reasonable verdict, according to the evidence presented in the trial. It was a hard case for the prosecution. Let’s remember that here we had a public prosecutor, but also a private prosecutor. But their evidence was neither solid nor ample. Journalist: What would you do to improve of the jury system? Judge: We, lawyers and judges, should deepen aspects of trial litigation, especially with regard to how to create and present effective case theories. But it is also of the utmost importance to train ourselves in how to handle evidence in a proper way. Neither of these two things -case theory and handling of evidence- are part of our law schooling to be lawyers. And that is due to our historical civil law tradition, which is to perform written trials. It is still so hard for us to figure out how to resolve a case and reason about it without the “file”. And this becomes quite evident in the trial by jury. Judge: I’ll give you a very graphic example. In many other trials by jury that I have presided over, I had lawyers of both parties making their opening and closing statements looking at me. It was unbelievable. I had to tell them to turn around and talk to the jury, since they were the triers of facts that had the last say on the case. Summary of the trial: “There was not enough evidence to convict”. Mariano Gustavo Silva, Police Officer of the Buenos Aires Police Department, was acquitted after two days of trial by jury that took place on April 26 and 27 in La Matanza county. 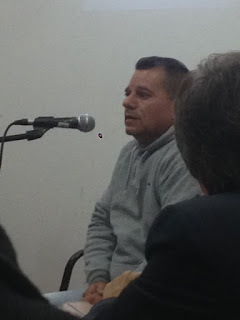 Public prosecutor José Luís Claudio Longobardi, along with a private prosecutor, tried to demonstrate that Silva, along with his son and other neighbors from Ciudad Evita, conspired and planned to kill Fernando Leguizamón, in retaliation for having beaten and stabbed the grandson of Silva’s wife. He requested a guilty verdict for murder in the first degree. The testimony to prove this case theory was insufficient. 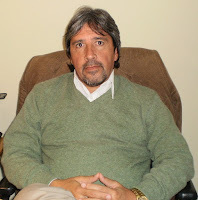 Miguel Ángel Racanelli, defense lawyer, asked for a not guilty verdict. He maintained that Silva was not the author of the crime and produced evidence that showed that he hadn’t left his home until after the shooting that ended Fernando Leguizamón’s life. The lawyer provided evidence that Silva left his home unarmed and only in order to bring help to his wife’s grandson. The defense attorney brought to light what the prosecution had left out: that this boy (the grandson of the defendant’s wife) had previously received three stab wounds from Leguizamón. In the light of such evidence, the jury rendered a not guilty verdict. 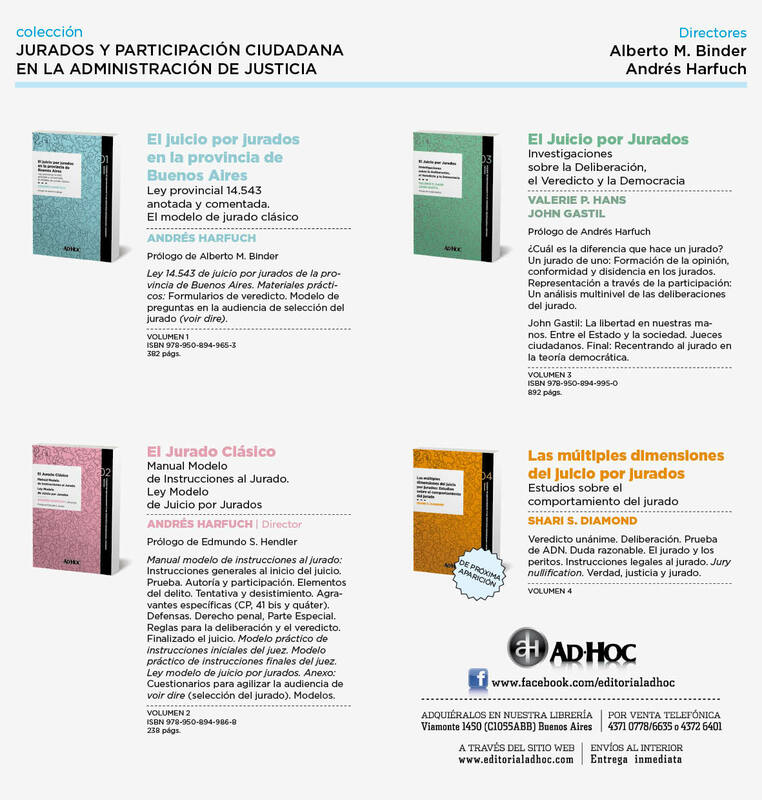 Even the public prosecutor Longobardi, who had litigated over so many jury trials in Buenos Aires province, admitted to the A.A.J.J. that he was not surprised by the verdict: “The evidence allowed us only to go to all or nothing with murder in the first degree, but the jury took the decision that it found appropriate”. 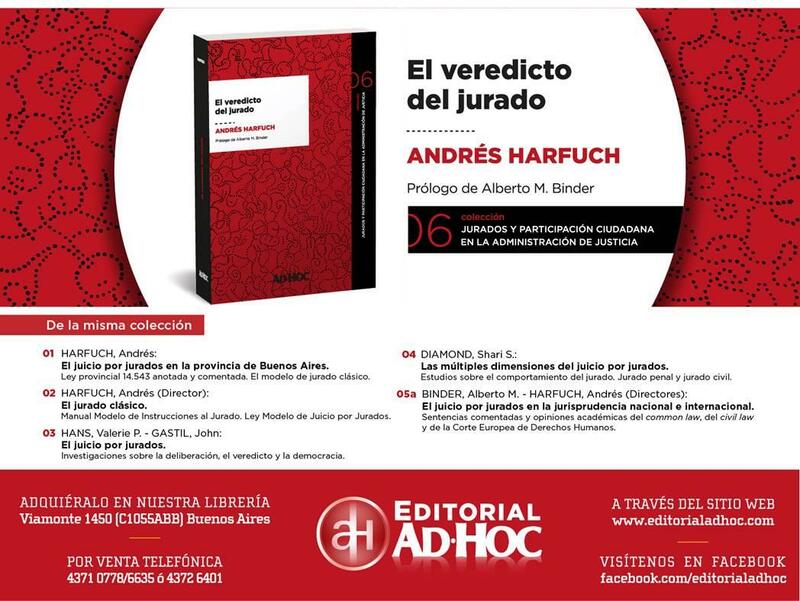 would affect the jury´s capacity to decide. I realize now that that was a prejudice of mine. Now I can see that the jury is very reasonable, clever and that it possess great common sense and a sense of fairness. I once lost a case against a jury, but I had to admit that their guilty verdict in that trial was right. Now it was my turn to win. But, beyond that, we are certain that the resolution of the case was just and fitting”.